Welcome to Episode 129 of HubShots! With me today, I’m joined by Craig Bailey from XEN Systems and Michael Redbord from HubSpot. How are you, Craig? I actually think we only might touch on one actual feature of Service Hub. Instead, this is actually a chat around service mindset and customer-centric mindset in general, quite strategic, and also some technical bits as well. Well, let’s take it away with Michael. 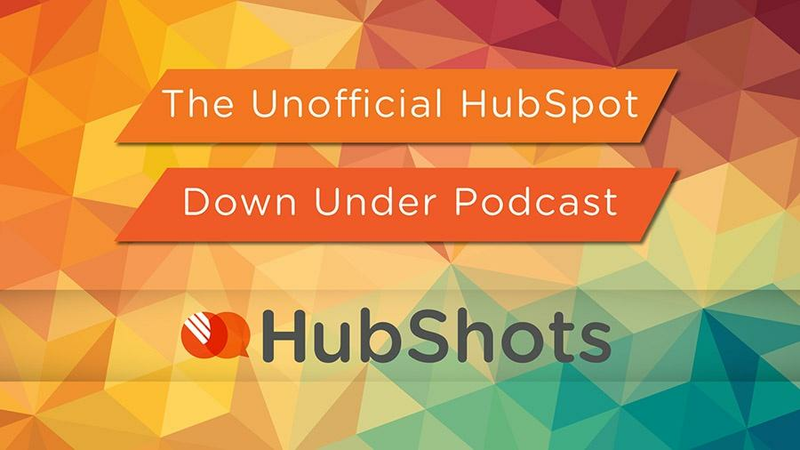 Ian Jacob: 01:06 With us today we have a special guest, Michael Redbord, from HubSpot. He’s the head of Service Hub which is a new product offering from HubSpot, and he’s been the head of service at HubSpot prior to that for five plus years. Mike, welcome. Michael Redbord: 01:23 Thanks so much, guys. I’m really, really excited to be here today and add my perspective to the podcast. Ian: 01:28 All right, Mike, now tell us, you’re the head of Service Hub, tell us how Service Hub fits into what we do as marketers, and what is the benefit to actually having it in your business. Where does Service Hub fit in the marketer’s toolkit? 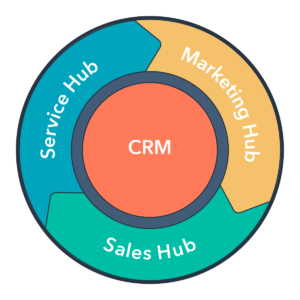 Michael: 01:40 A few months ago, we launched Service Hub which is the third product line from HubSpot. I think traditionally, if you wind the clock back, HubSpot’s really just a marketing company. It’s the inbound marketing company. Then if you start to wind the clock forward a bit, you go from marketing to sales, and there’s just some really natural adjacencies there where you think about how marketing and sales could work together. Michael: 01:59 Now into service, as our third product line where there’s actually a whole lot of natural adjacencies into sales and marketing too. We’re seeing it fit in together for businesses in this way that marketing, sales, and service all works together to drive growth, and we’re really excited to help folks embrace that vision and make it happen. Where doesn’t Service Hub work? Ian: 02:15 All right, we’re going to ask you something that probably not a lot of people ask. Where hasn’t this worked? Michael: 02:21 Hmm, so where doesn’t it work for Service Hub? Ian: 02:24 Yes. In what kind of businesses or where have you seen the implementations actually not work? Michael: 02:31 Yeah, so theoretically, every business has an opportunity for customers to create value and drive growth. Even business that you may think of as a one-time business like I don’t know, a mortuary or something, they still have opportunities to drive repeat business. Michael: 02:45 Theoretically, Service Hub really works for anybody that wants to use their customers as a growth engine. I think in practice the product here is just a few months old, so you end up with it being a better fit for certain organizations and worse for others. Michael: 02:56 The companies that we see it be a better fit for in practice are businesses that are working with their customers, because everybody’s in the business of customer service. Once you have a customer, you’re doing customer service. They’re working with their customers in relatively straightforward ways. They have a certain set of processes that they want to work through with their customers. They’re able to create tickets, to operationalize that inside Service Hub. They’re able to create knowledge-based articles to speed things up like self-service, and then they’re able to get feedback from those customers. Michael: 03:46 For businesses that I think are more into making sure that everybody has access to the same data, and the all-in-one value proposition of having the customer timeline all in one place visible to everybody across marketing, sales, and service, for those types of companies, it’s an awesome fit. Ian: 04:00 Now, I know where they started selling sales, there’s some interesting statistics. They said, I think it was over 80% of small businesses didn’t even actually have a CRM or manage their data. Have you got some interesting statistics around service, and how people manage that with customers? Michael: 04:15 Yeah, so I actually don’t have any stats on that one. But from my experience, it’s the same thing as sales where in it’s a mess of spreadsheets and sticky notes and all sorts of different things. I just think there’s a massive opportunity to get everything all in one place to make it a lot a cleaner. Do companies really deliver superior customer service? Michael: 04:28 One stat that I really, really do like in terms of businesses understanding their customers which is one part of what Service Hub does with the feedback app is that when you ask businesses, deliver superior customer service 80% of them say, “Yes, we do. We deliver superior customer service.” When you ask the customers of those businesses, “Do you experience superior customer service?” Only 8% of those customers actually agree. Michael: 04:57 Businesses tend to think they’re doing a great job, and they’re customers tend to think they’re not. The numbers could be off by a little bit, maybe it’s we’re off by a couple percentage points here and there, but there’s just this massive divide. Michael: 05:07 One of the opportunities that we’re really excited about is to help folks understand their customers better. Get all that data all in one place, all that timeline information all in one place, all that feedback information all in one place, so they can actually bridge that divide between the perception of their service and their customers’ reality. What does Customer Service Culture look like? Craig Bailey: 05:21 That’s really interesting. I wanted to ask in terms of implementing it, in terms of culture, so if you think about the inbound methodology that was a big change for companies. Okay, so you’ve got software, but you’ve also got internal processes which I alluded to previously. That was a big change for marketers to think in terms of an inbound approach. Craig: 05:39 When it comes to Service Hub, do you see cultural change is required? You’ve probably touched on this in the whole mess that often they are. How do you see that playing out with Service Hub? Michael: 06:03 I think in practice, a lot of businesses have a hard time achieving that. I think a lot of the reason why is that they view service as a cost center, not as an opportunity. They view their customers as a problem to be managed and made quiet, not an opportunity to be maximized and made wowed and to be your best advocate. Michael: 06:22 There’s a mindset thing there, and I think that’s a mindset, a cultural mindset that you want to share across the business. I think your leadership needs to have that mindset. I think that a lot of times when you’re a very small company, and you’re trying to get that first client, that first customer, it’s acquisition at all costs. It’s only until you start to get a few customers, you start to get five or 10 or whatever, you begin to grow that the reality that land and expand and growing those customers is a good idea starts to ring true. Michael: 06:49 I think there’s a mindset thing. There’s a little bit of a maturity thing. There’s definitely having the right leaders in place to pave the way for that to be a reality. Because you can buy any software you want on the planet, if you can’t actually use it the right way and have the right sponsorship and the right execution, it’s not going to get you the results. Michael: 07:13 Oh my goodness. Craig: 07:13 … culture and process? Michael: 07:15 A few highlights and a few lowlights. I think that a lot of stories of growth are not simple. When it comes to turning the corner from being a very acquisition-focused business to being a very customer-focused business, making that change we were just talking about, it’s not usually a journey that people take without some pain. Typically, that pain is actually a trigger to start that journey. Michael: 07:37 For us, when I was running our support team, I started running that team in 2012. That was at a point in time when we were releasing a lot of new software very quickly, and it wasn’t the most stable thing on the planet. We’re still a relatively small company. We weren’t public or anything at that point in time, but our customers we’re telling us in no uncertain terms this was not going well for them. Michael: 08:31 I think that really led to a mindset over time of more investment in the service team, a very different type of perspective on the customers’ measurement of things like net promoter score. That was really the genesis of a lot of the operational ways that we run the business that are a little more customer-centric nowadays. Craig: 08:46 Can I just ask you, can you explain what net promoter score is? Because we run into situations where people aren’t familiar with it, and it’s certainly not implemented. Can you talk about the simplicity behind it, and how Service Hub enables that? Michael: 08:58 Yeah, so net promoter score is a methodology, a practice basically. It was invented by or patented at least by Bain & Company. Really, it’s a simple, simple question to understand if your customers would promote you, and if they would advocate for you. It’s a measure of advocacy and happiness. Michael: 09:15 The question goes like this, on a scale of zero to 10, how much would you recommend our product to a friend or colleague? They answer zero to 10, and then they fill in a little comment. That’s it. It’s a very, very simple methodology. Michael: 09:25 There’s a little more behind the scenes in terms of there’s some scoring and stuff like that. But I’m a fan of net promoter score, because it’s such an industry standard way of doing this happiness survey that when you Google average net promoter score for a marketing agency or average net promoter score for a software company or whatever you are, you get some results. It’s reasonably easy to benchmark yourself out there in the marketplace, and it’s also just such a tried and true method that it works pretty well. Michael: 09:53 Lots and lots of other ways to survey out there, but we like net promoter score which is why we made an app for it. That’s one of the types of feedback that you can collect with Service Hub right out of the box. It’s a really simple flow to stand up a net promoter score, start getting that voice of the customer into your executive team, into your just understanding of what your customers are up to, and to begin to make this transition from a whatever type of company you are today to a truly customer-focused company. Ian: 10:14 This is a good segue into what kind of metrics would people focus on if they’ve got Service Hub in place? Net promoter score being one of them, is there anything else that they should look out for? For example, in marketing we look out for the qualified leads, the number of leads that are being generated, in support, what does that look like? Michael: 10:31 Yeah, great question. I think when you think about the customer experience in the whole, there are basically three verbs that you as a business need to do and do well to turn your customers into a growth engine. Michael: 10:45 The first verb is engage. That’s just about working reactively with customers. They have questions, you got to give them answers. That’s a very traditional support motion, engage is the first one. Michael: 10:53 The second verb is guide. That’s about saying, “Look, we actually know better, we’ve done this before. We can hold your hand and take you on a walk with us.” It’s a more proactive style of support. A lot of times, you get this from companies, they send you a couple of emails as you’re a new customer, whatever it is. We’re all pretty familiar with this. Guide is the second one. Michael: 11:11 Grow is really the third one. That’s about if we’re delivering good service, and you’re happy with us, how can we grow better together? Michael: 11:18 On the growth front, some of the metrics there are net promoter score. I think that’s really the prime one to understand how much people are going to advocate for you. But I also love looking at referrals that are driven through word of mouth. There are lots and lots of ways to track that. I think in e-commerce businesses there’s a lot of link tracking. For other businesses maybe it’s as simple as asking the question, how did you hear about us? When someone buys. Tracking that closed loop is actually awesome for the growth side of things. Michael: 11:40 For the guide side of things, it’s saying, how much are we enabling people to answer their own questions? I love stats like how many knowledge-base users did we have? Or how many searches did we get in the knowledge-base that folks were able to solve their own questions? Michael: 11:53 For the engage side of things, which is a little bit more of a standard support scenario where folks are asking you questions, and you’re answering tickets back or something, I’m a big fan of how much time it took you to respond, and then what folks said in terms of feedback after those cases were done. Was that an easy thing for them to resolve or hard? Michael: 12:12 If you combine that all together, you get a pretty good view of how to engage, guide, and grow with the customers. Craig: 12:17 You mentioned response time and then customer satisfaction. Do you measure actual resolution time as well? Do you see that as a key step? Because people are getting better at responding quickly, resolution time might not be in concert with it. Michael: 12:31 Totally. I think that the reason that response time is the one that I said and not resolution time is because customers work with a variety of different types of vendors. We expect immediacy from pretty much everybody regardless what type of business that you’re in. Michael: 12:45 If I’m customer, and I’m me, my name’s Mike, I’m working with 10 different businesses, I expect everybody to get back to me right away. I don’t necessarily expect an immediate resolution. If I have a complicated problem. I understand it’s complicated, maybe it’s going to take a week or two. My expectation can be different. Michael: 13:00 I think businesses should measure resolution time, but they should really hold themselves accountable to that response time. Because if you think about it being all about the customer, they’re working with all sorts of different brands. There’s this expectation of immediacy that’s out there. Michael: 13:12 Whereas resolution time, it’s different for different types of issues, different types of businesses. When you measure that for yourself, the goal there is really just drive it down over time, make it generally better. It’s hard to set a numeric goal on that. Whereas with response time you’re talking in the matter of hours is where you want to get to. Does a slowing economy (or even a recession) put the focus back on customer support? Ian: 13:29 Do you see the role of customer support being more important in a slowing economy as things change? Michael: 13:46 My perspective on it is that when economies slow, when inflation goes up, when things tighten, businesses tend to start cutting things that are seen as optional. One of the things I think is not optional is servicing your customers. Michael: 14:04 When it comes to the outcomes that you might get in a recession-based scenario, I think the folks will tend to double down on their customers, try to get more business out their existing customers, because the cost of acquisition is lower. They’ll probably make cuts in their go-to market, in their advertising budgets until things recover. But I think that you actually should at least stay level on your customer support function if not further invest there, because the cost of acquisition on that incremental spend is going to be lower. Michael: 14:32 Especially if you have good relationships with your clients, recessions can actually be a good time to go back and say, “Look, we want to expand our work with you, and weather the storm together. We want to really partner with you through this and figure out contract structures, offering structures, whatever it is that can help both parties, the customer and the vendor get through it together.” That’s a very tactical form of doubling down on your customers and trying to make it through that recession with support as the primary way to do it. Who should be responsible for customer support? Ian: 15:00 All right, here’s a question, who should be in charge of customer support if this is not in place? We’ve got people who look after marketing and sales, and we’ve now added Customer Hub in, who should be the champion of that? What have you found that has worked? Because you’ve been through that transition. Michael: 15:13 Yeah totally. I’ll just say first, if you have a customer, you have customer support. You might not have a customer support department. You might not have a vice president of it, or whatever, but it’s happening. Somewhere, someone in your business is talking to customers. When they have questions that person’s engaging with them. That person’s helping guide them to success, and maybe even helping them grow if there’s a case study that they then become. Michael: 15:36 I would say, first, look at the functional org chart. Where is the customer function happening? That’s actually a good indicator maybe of where you should put this thing. Michael: 15:44 I would say, second, support and service really should be thought of not as a cost center but as a growth center. As a result, you should not put service or support in operations or finance or some back office-y part of the world. Honestly, that happens a lot. Even folks put in engineering or innovations in software companies which can sometimes lead to cost reduction in there. Michael: 16:05 I really like putting it mixed in with the commercial functions of the business which are like sales and marketing and grouping those together, so that when you think about the customer experience on the commercial front all the way from marketing to sales to service that’s the commercial customer experience, and you have product and delivery that backs that up. Michael: 16:21 I think first look at where the function’s happening today, because I guarantee it’s happening out there. Then try to group together those commercial functions, so that you’re creating a nice, consistent, smooth customer experience where all the people in those departments as you grow can share data and tools and all that. Craig: 16:35 Let’s say someone’s looking after customer service, and you’ve done this, of course, in management style are there any kind of character traits that you would recommend? Michael: 16:44 I bet a lot of folks listening today are making their first, second, third, or fifth, not their hundredth customer service hire. I think that a lot of the traits that you would hire for in an individual contributor to work with their customers, they’re actually the same traits they should have in leadership. It’s not that different. It’s more of a rebalancing of the same traits rather than being radically different. Michael: 17:03 On making any one these hires, so whether it’s your first service hire, or you’re trying to hire a vice president of customer success or something, these are the things I look for, and, again, just the mixture of them is different in leadership versus individual contributor. Michael: 17:14 I would look, first and foremost, for empathy. You just need to care, and you need to care about people. Almost in a broad sense, you need to be a humanist. There’s ways to test for empathy. I think when you sort of know it when you see it. You talk to somebody you can sense if they’re empathetic or not. Michael: 17:31 At the end of the day, if this is a person that you’re putting in place to look after your customers you want them to care. You want them to be able to be human. More than any other function, customer support, customer success, customer service is really a function of being human, so empathy is really number one. Michael: 17:46 Also, number two is outcome orientation. We’re not just here to solve problems for free. We’re a business, so every service person, every support person needs to have an outcome orientation. That’s almost a little bit of sales- y-ness where they’re like, “Yeah, I’m trying to get to this point. I want to hit this number.” They have to have some pride in hitting those numbers and making numbers move. Michael: 18:07 I think for a leader this is actually really, really important trait. As you scale up, service organizations it can be somewhat of less important trait in some roles, but it’s still a pretty important thing. All your people on the team, if you want to actually [inaudible 00:18:18] not just be a cost center, so empathy, outcome orientation. Michael: 18:22 Third, I would say, is process orientation. This is something that’s quite important in a leader, because, hopefully, they’re going to build for scale especially if you’re a growing company. You want your leaders to really give you three to five years of runway, not just three to five months. You need someone that isn’t process-driven, isn’t a total operations person, but has enough of that process mindset that they can create process, create stuff that scales, create things that are repeatable, save you time, save your customers’ time. Michael: 18:49 Empathy, outcome orientation, and process orientation are really my big three. I look for those when I hire customer success managers, when I hire support reps. It’s just sort of a different mixture of the same three based off of whatever role the person’s going to be filling. Ian: 19:01 Mike, what’s your top three pearls of wisdom for our listeners? Michael: 19:07 All right, so top three pearls of wisdom. The first that I would recommend is you need to be empathetic, and you need to walk in your customers’ shoes, if you want to be a business that will outlast you. If you want to have a business that lasts for generations, or a business that makes an impact on yourself, on your community, on your customers, you need to be empathetic, you need to walk in your customers’ shoes. That’s number one. Number two, I would say is that every business needs to think about the work that they do with their customers not as a vertical function. Marketing is not just about, “Oh, we need to generate more leads today.” Marketing is about creating experiences across customer life cycles for people who can be a great advocate of your growth if it goes well. Michael: 19:47 But if you’re a marketer out there, and you’re saying, “Oh, I’ve got to generate more leads,” try to think of yourself like what could you do to be more of a horizontal function and say, “How do I create great experiences across the life cycle that turn customers into advocates and drive more revenue?” That’s number two. Think about things as a horizontal function not a vertical one. Michael: 20:05 Number three, I would encourage people to think about their business as a whole, not just their particular function, but their business as a whole, not just as a funnel that tries to acquire, acquire, acquire, but as a fly wheel that tries to take marketing and sales and service, if each one of those functions contributes to growth where marketing feeds sales, sales feeds service, and service feeds marketing. Michael: 20:26 This is really a mindset change for a lot of businesses where it’s not just about filling your funnel, then oops, there goes a customer as an output. It’s really treating customers and service as an input to the whole equation, because that can really help you grow better. Ian: 20:39 Fantastic. Well, that concludes our show. We’d like to say thank you, Mike, for giving up your time to be with us all the way from Boston. It is fantastic to see you and to see what you’ve done with service. We’ve tested the product out, and we’ve tried some things out. We’re on the journey to see how it grows, and how it expands which is really exciting. Michael: 21:00 Thanks, Ian. Thank you, Craig. Craig: 21:02 Thanks again to Michael for joining us on the show today and giving us insight into the customer service mindset, and how we grew that at HubSpot, and how, listeners, you can take those learnings and incorporate them into your own companies. Ian: 21:16 I think one of the biggest things I saw, Craig, was that Mike is one of those people that has actually been through that journey of customer support in HubSpot, probably when he had no tools or very few tools, now to being the product lead for Service Hub. Which I think that his experience really shows through in the way he talks about the product, and the way he talks about the whole strategy of having Service Hub a part of your organization. Craig: 21:42 Yeah, that’s interesting, isn’t it? He grew culture and process first and then product later to fit that, so something to learn from that. This entry was posted in HubShots, HubSpot. Bookmark the permalink.